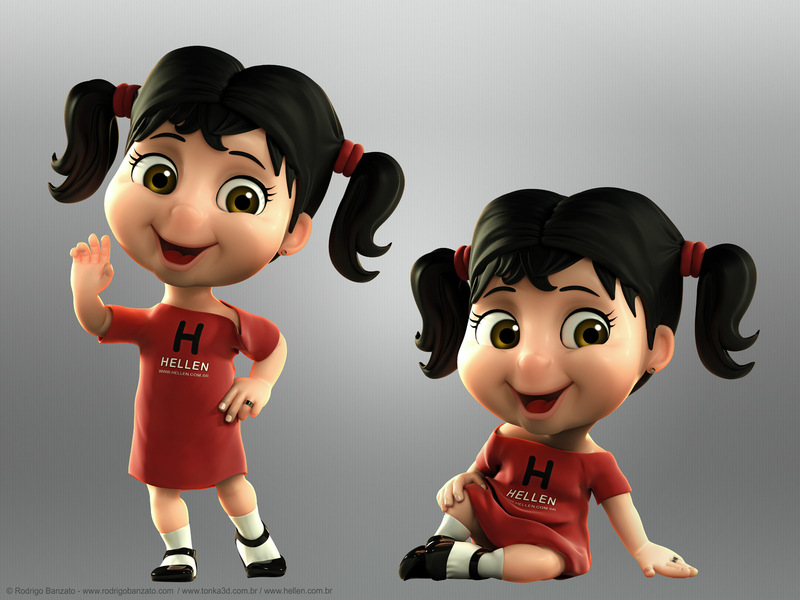 The challenge here was making the 3D version of a character called Hellen. I used the Mental Ray render and made some color corrections in Photoshop. I tried to use a diferent skin type in this work. Really nice model You've got it in two positions. Is this model rigged? Yes, I made 10 poses for this character. Would be cool to have some animations. Here are some other poses. The little girl is so lovely that i like her very much. Maybe modeling the different position of the character has taken you a lot of time. It's a good job for me,thank you for sharing! Very nice! This work what is the time borrowed? Very cute! I like the effect which you achieved. I love it, so much character, like she could just jump out of the my pc screen and start dancing lol! very good. You can make more cloth for her. I like the effect which you achieved. May be it's just me but the cloth in the first picture looks strange near the left shoulder. In rest it's decent modeling. Different facial expressions for each pose would make it look even better.